Be a star at your next corporate or special event at the only operating “double-decker” theatre in the world. The Elgin and Winter Garden Theatre Centre has a variety of spaces for medium to large-scale events and entertaining. 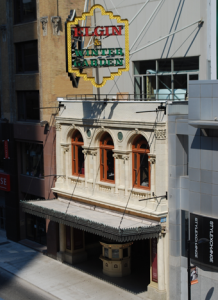 Be it the red carpet treatment for a film premiere in the elegant Elgin Theatre or dinner on stage for a fundraiser in the whimsical Winter Garden Theatre. The Elgin and Winter Garden Theatre Centre is also perfect for AGMs, product launches and a host of other multifaceted events.